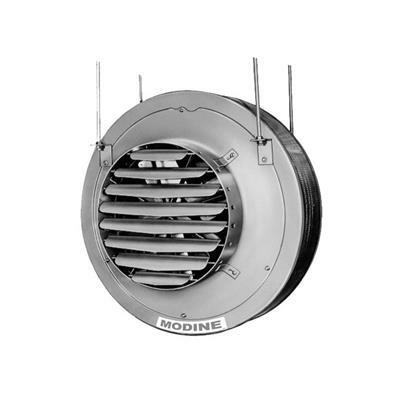 Modine Vertical Delivery Steam/Hot Water Unit Heaters are ideal for heating buildings with high ceilings or areas that require the heater to be mounted above obstructions (such as craneways). These units may be suspended from up to 54 feet above the floor, depending upon the size of the heater, steam pressure (or hot-water temperature) and air deflector selected. Available from 42,000 to 952,000 BTUH rating. These units are compact and light-weight, requiring fewer man hours to install. Integral junction box for ease of electrical wiring. Extended motor life with the use of the standard motor cooling cone. 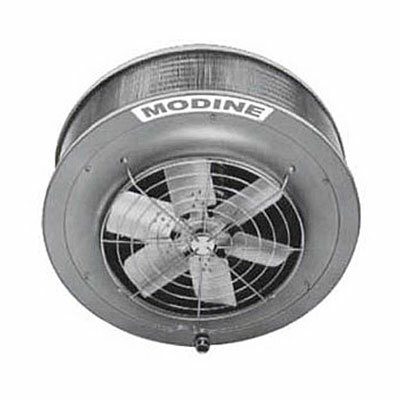 The cooling cone protects the motor from intense radiant and convection heat from the coil when the fan is not running. The cone also meters a controlled volume of ambient air over the motor to reduce motor temperature, when the motor is running. All models through V/VN-279 have tapped holes for threaded rod or optional pipe hanger adapter kit. All models larger than V/VN-279 have angle-iron mounting bracket with 5/8" diameter hanger holes. Four optional deflector-assemblies are available, each with its own air-distribution characteristics. Patterns vary from a high-volume jet-like stream to a low, broad, gentle cone. 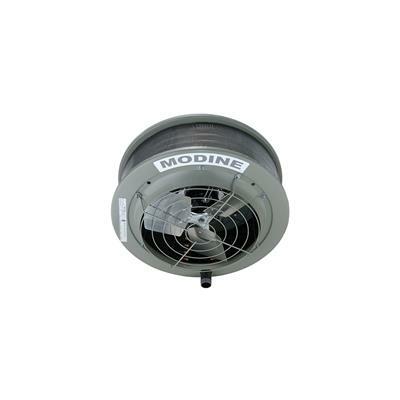 Modine vertical steam/hot water unit heaters are also available in low outlet-temperature models. 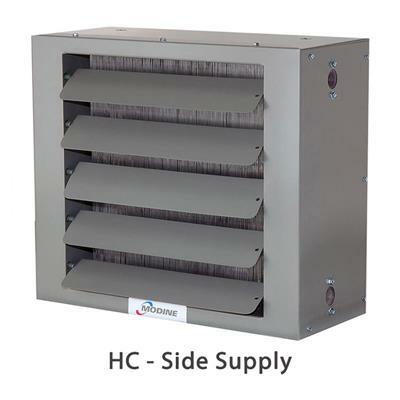 These unit heaters are also available with heavy-duty coils and cupro-nickel tubes. This heavier-duty model is ideal for industrial installations with corrosive atmospheres or where higher steam-pressures or water temperatures are present. 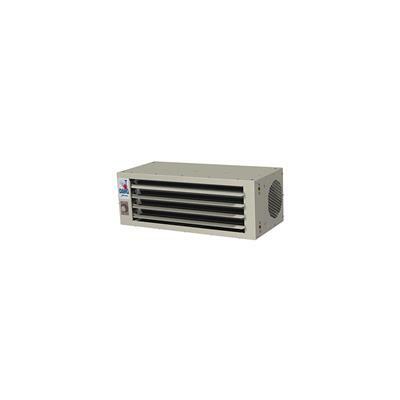 Available up to a maximum output of 952,000 Btu/Hr, operating temperatures up to 400°F, and pressures up to 250 psi. Contact us for options 1-888-281-9337. Select desired heater from the drop-down list at the top right of the page. Performance information below. Click here to download PDF brochure with dimensions, diagrams and complete specifications for all models and optional deflectors. Due to size and weight of your order, this product could ship via Ground Parcel Service or Common Carrier.